The West of England Design Forum welcomes the fantastic Mr Bingo, an illustrator & human who has risen to fame through his characteristic drawing style and dark humour, he currently works from his studio in East London. Somehow managing to get through life with his ​“slightly smaller than average head” and his ​“small girlish arms”, Mr Bingo has worked with many esteemed clients such as The New Yorker, WIRED Magazine, Microsoft and The Mighty Boosh. He has also had sterling success with his Hate Mail book, consisting of vintage postcards decorated with elaborate insults and personally directed at those who send him a name, address and forty quid through the post. Mr Bingo prides himself on illustrating the weird, wacky and wonderful, and thankfully still finds the time to tour the country to spread his valued words of wisdom. 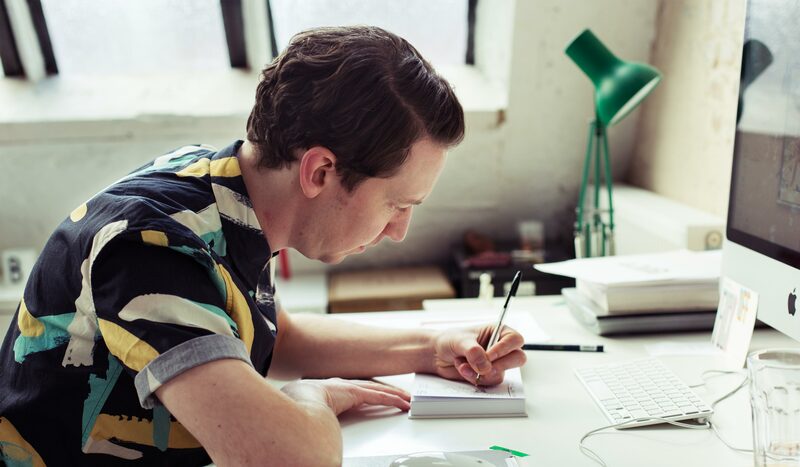 WEDF Talk // Mr Bingo from West of England Design Forum on Vimeo.